North American Auction Company starts off their 2015 auction year by presenting their January 24th 2015 Premier Auction for live internet bidding on iCollector.com. 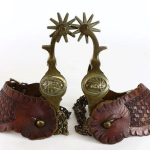 This auction is bringing over 35 rare Taxidermy mounts, over 40 firearms, over 30 pieces of rare furniture, as well as Native American art, signs, and rare military collectibles. There are over 500 lots up for auction to the highest bidder on auction day. Absentee bidding is available now, and full interactive online bidding is open during the sale on any PC, Mac, or mobile device. 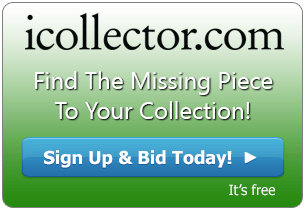 Registration via iCollector.com is secure and simple with one login to view the auction. Native artwork delivers a standout piece early in the auction at Lot 62A. This is a Plains Indian Pipe Tomahawk with a beaded drop. The beaded drop show an all sinew sewn design with early glass seed trade beads, trade brass tacks, trade cloth, and an all Indian tanned hide. The tomahawk shows a forged iron head with pipe bowl and brass stud tacks. Several photos and a full description are online at iCollector.com and this piece is estimated to sell to the highest bidder between $1500 and $2100. 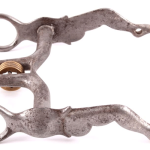 A highly sought after machine gun from World War II is up for bidding at Lot 85. The machine gun is a World War II era Browning Model 1919 A6 in a .308 caliber. 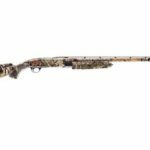 The rifle has a muzzle booster, bipod, and shoulder stock. 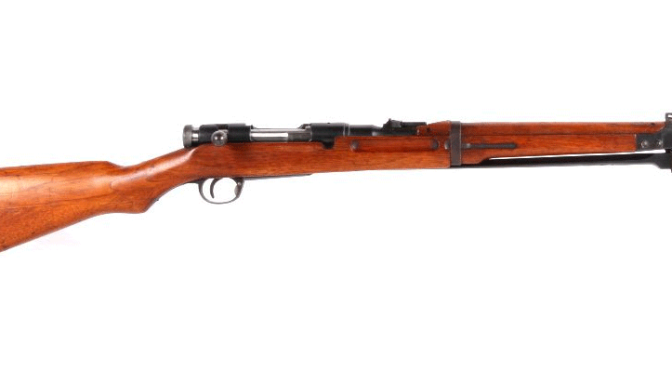 This is a very rare rifle and is in excellent condition and does fire. This piece of war history already has absentee bidding activity and looks to sell at auction in the range of $3750 to $6500 making it a great value for military and firearms collectors. The Live Auction Group and its marketplace iCollector.com, are excited to host this wonderful auction. 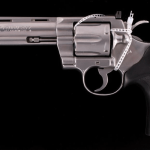 North American Auction Company will commence this auction at 10AM Mountain Time on January 24th, 2015. There will be a live audio feed along with the bidding, so bidders can feel part of the action. Registration in a secure environment is open now using Facebook or Google plus logins, or an email account.